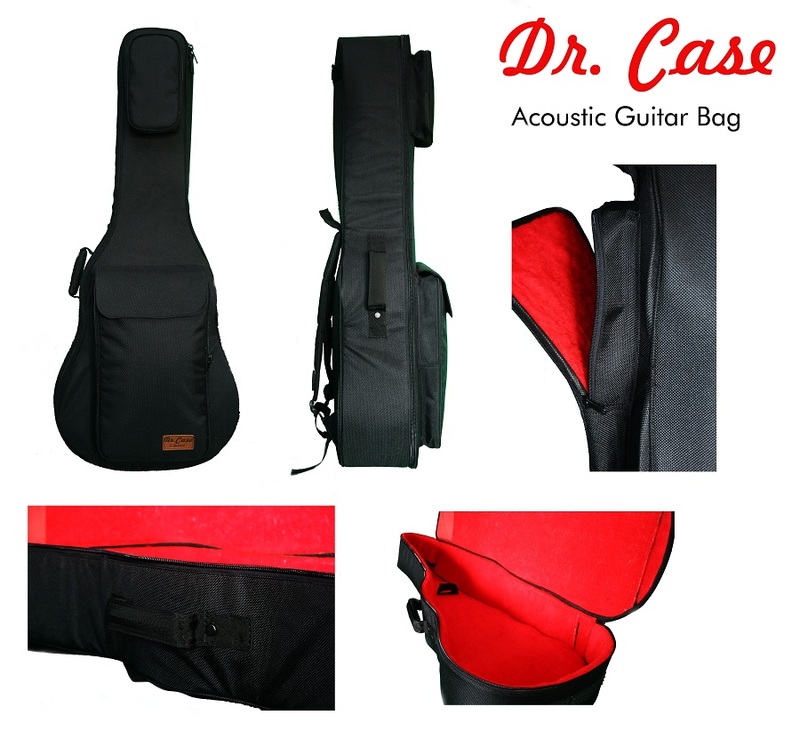 CA series has different bloodline with EX, MA & L series which developed in another system. 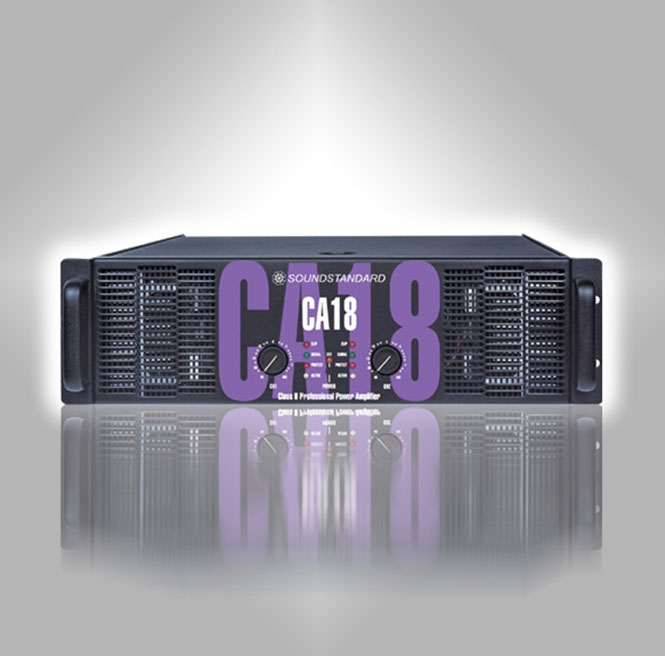 CA series covers the height of 2U to 3U and power 225W to 1800W. CA series hanker for higher speed, bigger damping factor, more rich functions and advanced protection system. CA series is designed with excellent coolingsystem, compact and stable mechanical aseismatic capabilities, SMT technology as well as precise components. CA series is able to load for stereo 2 ohm, bridge 4 ohm, and adapts to drive line array speaker system. 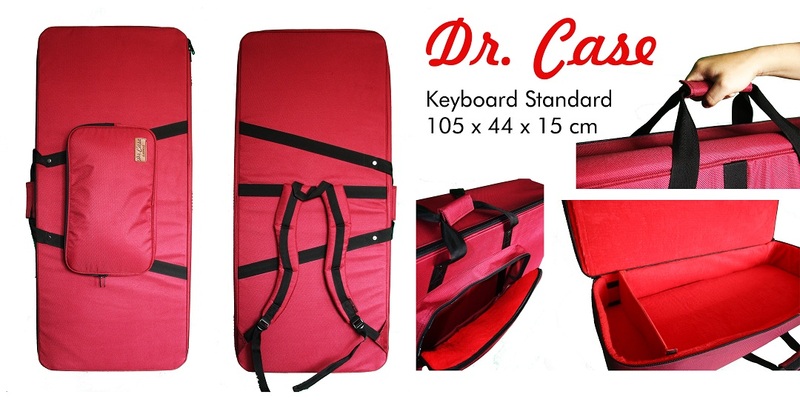 CA series can be used in live concert, disco, night clubs, etc. CA series has different bloodline with EX, MA&L series which developed in another system. 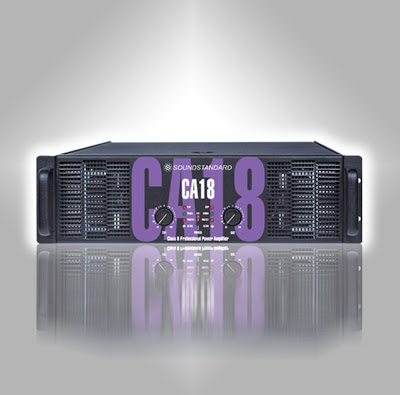 CA series covers the height of 2U to 3U and power 225W to 1800W. CA series hanker for higher speed, bigger damping factor, more rich functions and advanced protection system. CA series is designed with excellent cooling system, compact and stable mechanical aseismatic capabilities, SMT technology as well as precise components. 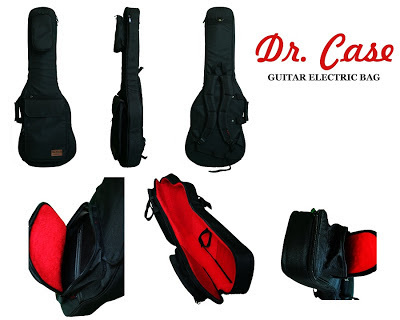 CA series is able to load for stereo 2 ohm, bridge 4 ohm,and adapts to drive line array speaker system. 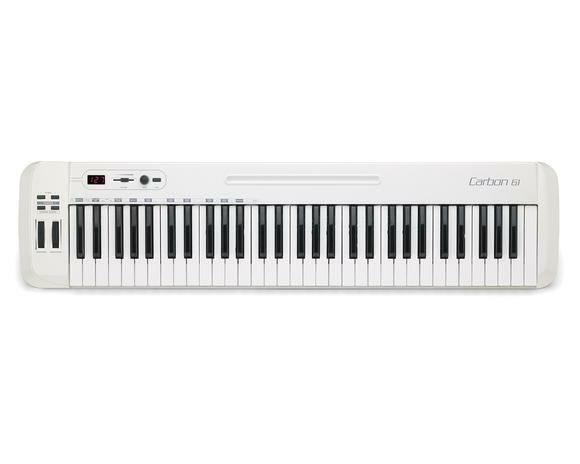 The Carbon 61’s semi-weighted keyboard provides musicians with a responsive and expressive platform that is designed to feel more like an instrument than a controller. 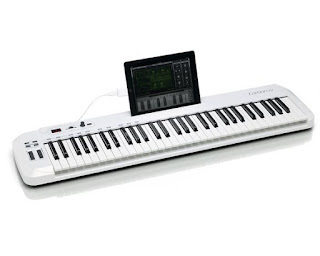 It comes equipped with velocity-sensitive keys that accurately capture the dynamics of a performance. With 61 keys, the Carbon 61’s pitch range is perfect for performing, while remaining highly portable. 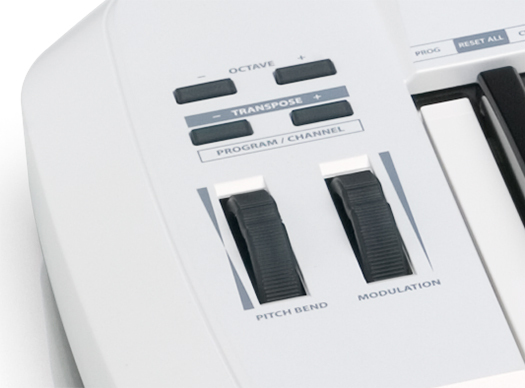 With dedicated Transpose and Octave buttons, you can change the key of any given instrument, as well as expand the keyboard to a full 4-octave range, without using any sub menus or shift keys. With all of these comprehensive features, not to mention classic Pitch and Mod wheels, the Carbon 61 puts a wide range of musical expression and tone manipulation at your fingertips. Take control of your music software with the Carbon 61’s assignable Data encoder and Volume slider. For easy editing, players can use the Edit key to adjust up to 14 performance-related control parameters. Also, the Carbon 61’s 3-digit, 7-segement LED displays the behavior of every function in real-time. 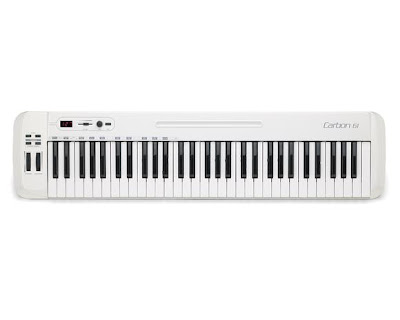 For added versatility, the Carbon 61 includes traditional MIDI Out, Sustain pedal input and USB connections. Designed with the iPad in mind, the Carbon 61 features an integrated iPad slot. 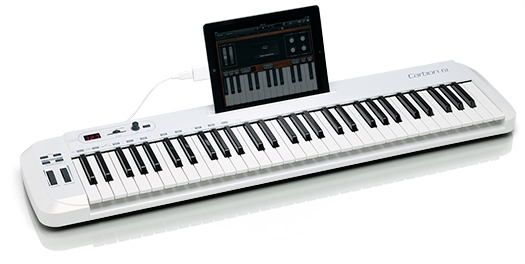 When combined with the iPad using Apple’s iPad Camera Connection Kit, the Carbon 61 is a great tool for making music on-the-go. Use it with your favorite music and synth iPad apps that support MIDI controllers, and for additional mobility, the Carbon 61 can be directly powered by the iPad. 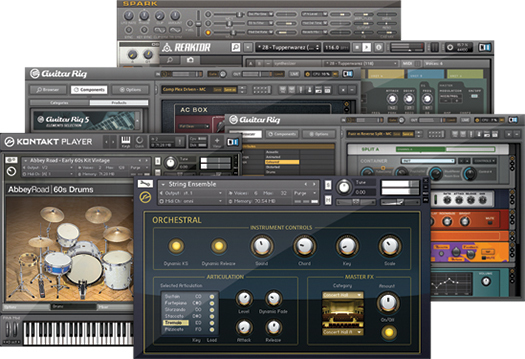 Bundled with the Carbon 61, Native Instruments’ Komplete Elements software offers a comprehensive selection of studio-quality sounds, effects and tools for modern music production, composition and sound design. With over 3GB of samples, Komplete Elements provides you with more than 1,000 premium sounds and three mighty player engines – all carefully compiled to provide a strong toolkit for both stage and studio. 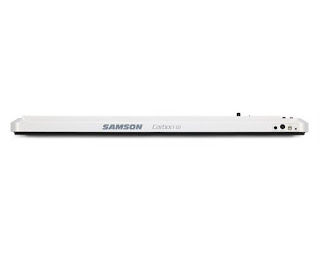 With the Samson Carbon® 61 USB MIDI Controller, it’s never been easier to get the most out of your music software.